The excellent documentary BOMBSHELL: THE HEDY LAMARR STORY (2017) is now available on Blu-ray and DVD from Kino Lorber. BOMBSHELL was written and directed by Alexandra Dean. I found it to be extremely well done, in the upper echelon of documentaries I've watched in the last few years. 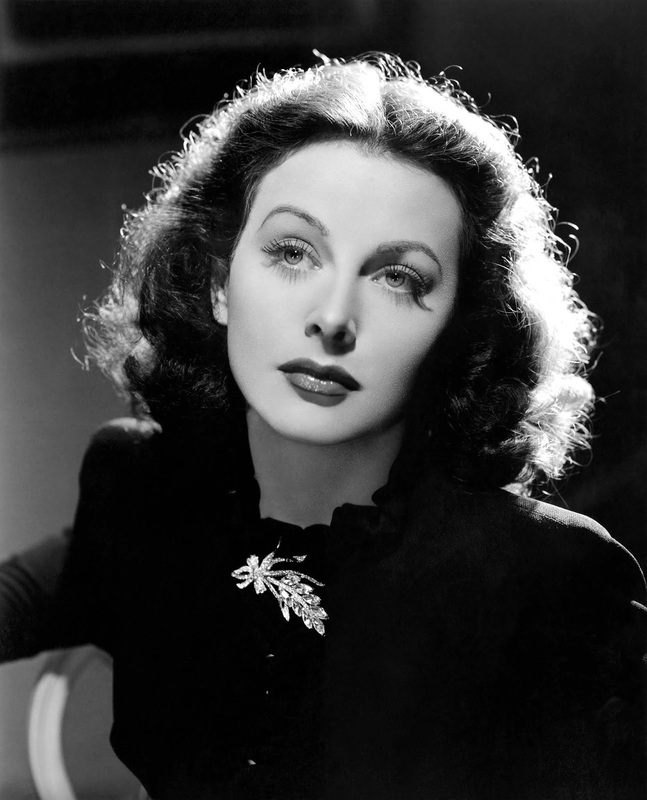 There probably isn't any film fan who hasn't heard by now of of the unusual story of Hedy Lamarr, who in addition to being one of the most gloriously beautiful actresses ever in films was an inventor who came up with the concept of "frequency hopping," hoping to help the military during WWII. Although the Navy turned down using her plans, created to help protect torpedoes from enemy destruction, frequency hopping now forms the basis for wi-fi, Bluetooth, and other technologies. Although I've always been quite a fan of the actress, I wondered if there would be enough material, particularly on her inventions, to fill an 88-minute documentary. There definitely is, thanks in large part to the discovery of tapes of a phone interview the actress gave in her later years, in which she comments extensively on her life as well as her inventions. Hedy has quite a number of interesting stories to tell, including escaping from her first husband, a munitions manufacturer in Nazi Austria; having been in danger under Hitler due to her Jewish heritage, she (perhaps protectively) ignored that part of her background once in Hollywood, while giving her all to the war effort once the U.S. was involved, including war bond tours and volunteering at the Hollywood Canteen. Other notable times in her life included dazzling Louis B. Mayer into a $2000-a-month contract, despite not speaking a word of English; studying books on fish and birds in order to advise Howard Hughes on airplane wing design; and of course, frequency hopping, on which she worked with composer George Antheil. Film and newsreel footage and the Lamarr interview tapes are supplemented with well-chosen "talking head" interviews; in addition to her children, interviewees included film historians Jeanine Basinger and Jan-Christopher Horak and the late Robert Osborne, who was a friend of Lamarr's. The only aspect missing in the film is covering her career in greater depth; some films are looked at in detail, including those she produced, while others are quickly glossed over or ignored. She really was a much finer actress than given credit for at the time, and I would have enjoyed the film acknowledging that, but it's hard to find a documentary which covers absolutely everything on a topic, and this is really a minor quibble regarding a fine film. Lamarr's life, though fascinating, was not without great sadness: Failed marriages, including an ex-husband who walked away from relationships with their children; what she called a "failed adoption," sending a difficult child to boarding school, where he was quasi-adopted by a school staff member; drug use, probably facilitated by MGM in order for her to function during long work hours; and mental health issues. As she aged and lost the beauty for which she was famous, she turned to plastic surgery and ultimately cut herself off from significant people in her life, becoming something of a hermit who wanted to be remembered as the beauty she had once been. Blu-ray extras include a trailer, outtakes, and an interview with the director. 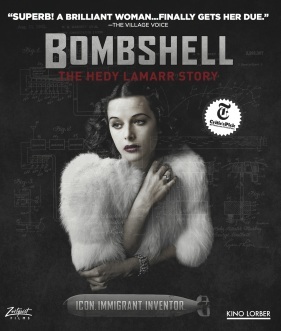 Having always been fascinated by the life of Hedy Lamarr, I already have "Bombshell" so I won't be competing for a second copy of this most interesting biopic. 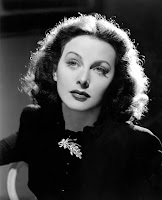 Back in 2010, WWW Productions, in association with BBC Worldwide, came up with the video documentary "The New Hedy Lamarr" in their series, Extraordinary Women. 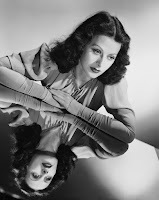 I also have a couple of very interesting books - Hedy Lamarr Beautiful - The Life Of Hedy Lamarr by Stephen Michael Shearer, and Hedy's Folly - The Life And Breakthrough Inventions Of Hedy Lamarr by Richard Rhodes. 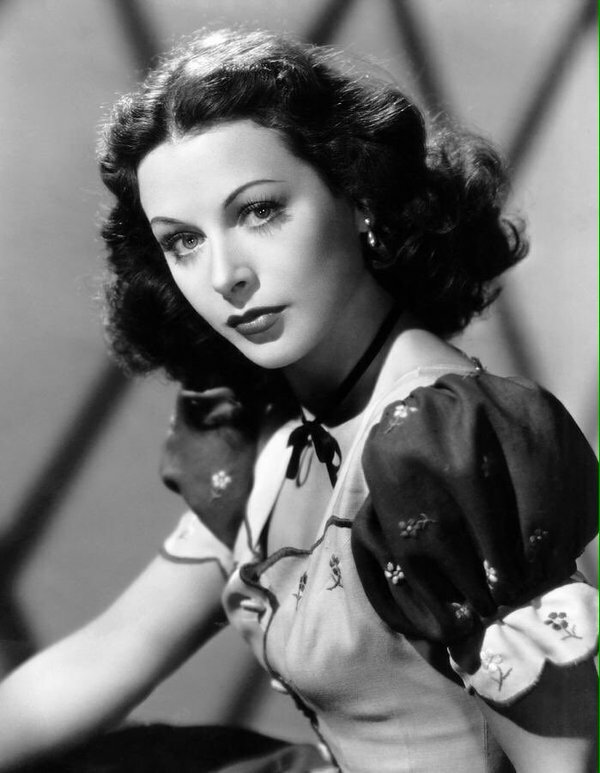 I can recommend all the above items to anyone who is interested in the subject of Hedy Lamarr. Thank you, Laura, for your illuminating review of "Bombshell". One of the things I like about classic Hollywood is that it projects an air of glamour and sophistication. The irony of that is it was anything but for most of those employed by the studios. I love learning more about the actresses of these films, but inevitably I am saddened to learn their lives were much more difficult and tragic than their onscreen images. Hedy's life had its' ups, but also many downs. It makes me sad to think that she never quite received the respect she deserved for her intelligence and talent. In "Bombshell", it was interesting to see that the Disney animators based the character of Snow White on Lamarr. It seems the only film of hers the artists could have seen by the mid-30s was the infamous "Extase". Since the Disney studio provided a brief "Snow White" clip for "Bombshell", this must be an accurate anecdote. Mel, I have the Shearer book -- readers may be interested to know he's interviewed in the documentary.